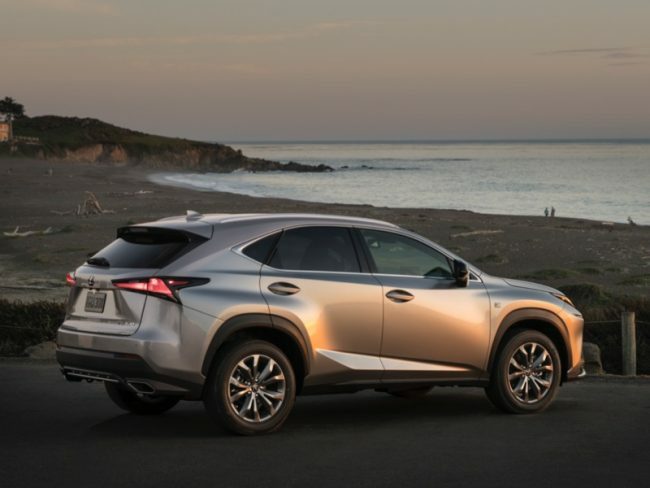 If there is still any doubt about the selling power of crossover utility vehicles, let us take a look at luxury automaker Lexus. For 2017, its popular RX CUV outsold the entire car lineup and the compact NX outsold the ES midsize sedan. 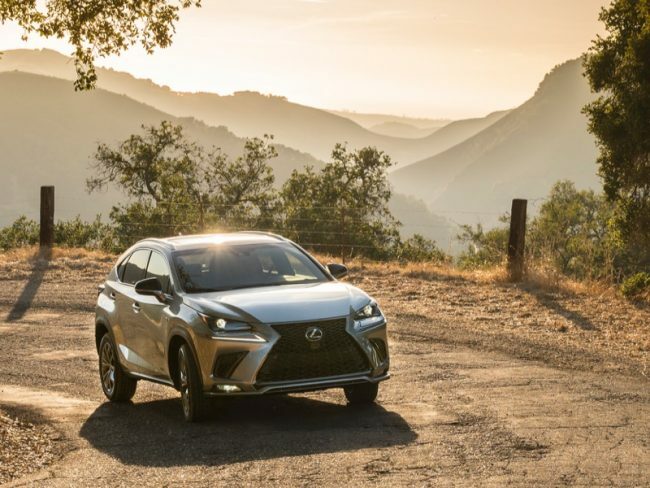 We recently tested the new 2018 Lexus NX 300. So Lexus has a new addition to its new compact NX lineup, huh? The 300? No. For 2018 they have decided to rename the NX 200t as the NX 300. Why? Not sure. I certainly had no problem with the original name of Lexus’ first turbocharged model in its history, that being the 200t. And the name made sense as the historic strategy has been to have the alphanumeric naming relate to model and engine size and the NX 200t featured a 2.0-liter turbocharged engine. The 2018 model still features the same engine, but now it is the 300? Whatever. What is certain is that this little sharp-edged luxury crossover gets some new styling upgrades to the front and rear fascia for 2018 while still offering Lexus quality and craftsmanship in a compact package. And that peppy turbo motor still propels the vehicle wonderfully around town or on the open road. And Lexus features all of its latest safety and infotainment technology while making its Safety System+ standard across all NX models. There is also a larger, improved Remote Touch Interface (touchpad) in the 2018 NX for easier multimedia use. Our NX 300 tester arrived in the F Sport trim that adds some nice sporty touches to the vehicle along with a Sport+ mode to the drive mode selector. Sport+ brings even more enhanced throttle adjustments and sporty steering tuning while also stiffening the adaptive variable suspension. There is also a noticeable boost in throttle sound that is generated via the vehicle audio system. 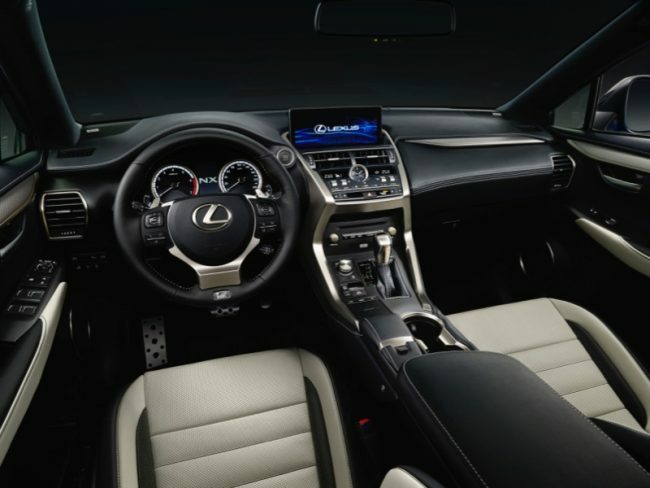 F Sport takes a normal NX – that already features nice, cutting-edge styling – and boosts that to the next level complete with exterior and interior styling enhancements. 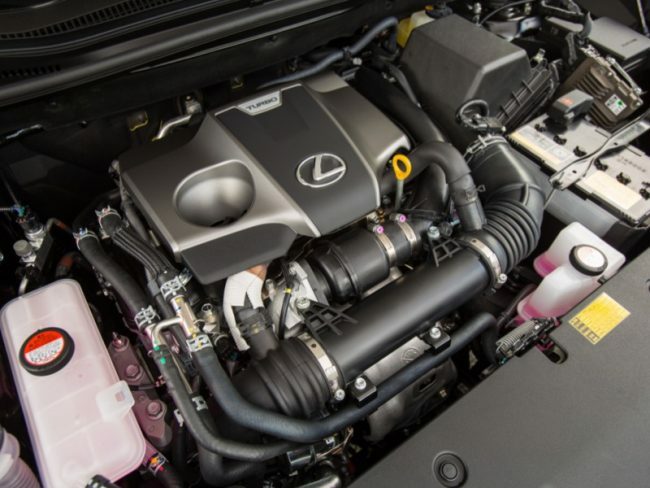 That 2.0-liter turbocharged inline four-cylinder engine features direct injection and produces 235hp and 258 lb. ft. of torque. It is mated to a smooth six-speed automatic transmission with manual sport shift via steering wheel paddle shifters. Our tester also arrived with Dynamic Torque Control All-Wheel Drive that can send up to 50 percent of available torque to the rear wheels when extra traction is needed. Lexus also offers the new NX in a hybrid model dubbed NX 300h. It features a 2.5-liter Atkinson-cycle four-cylinder engine connected to the high-torque electric motor in the transmission configuration and new electronic on-demand all-wheel drive is now available that utilizes a second electric motor to power the rear wheels when needed for optimal traction. 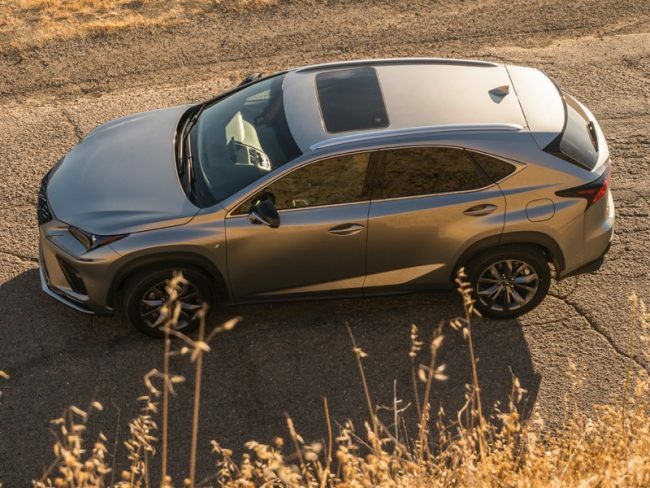 While I find the NX to be a bit compact for my tastes, it rides and drives very stable and nicely sport while offering the full complement of luxury and comfort. Four adults will ride in complete comfort while there is seating for up to five. The rear cargo area is adequate for almost all the usual items and a remote power liftgate option is available. The Lexus Safety System+ features pre-collision system with pedestrian detection, all-speed dynamic radar cruise control, lane departure alert with steering assist, and intelligent high beam headlamps. I was disappointed not to see remote start as a feature on this vehicle – that would have been nice on those very cold mornings. Pricing for the 2018 NX 300 begins at $35,985 for the “base” FWD model. Our AWD F Sport tester arrived with a final window sticker of $46,085. Fuel economy is rated at 22 mpg city and 27 mpg highway. 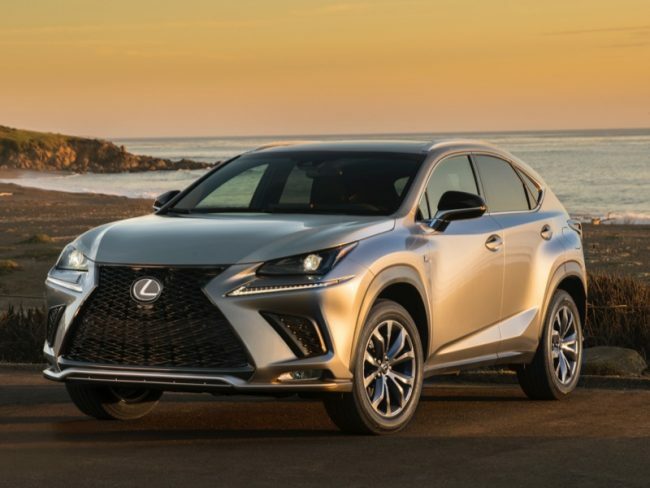 So the name has changed and Lexus has given the NX some updated styling and features but the popularity of crossovers is riding a wave these days and automakers are working feverishly to stay competitive. 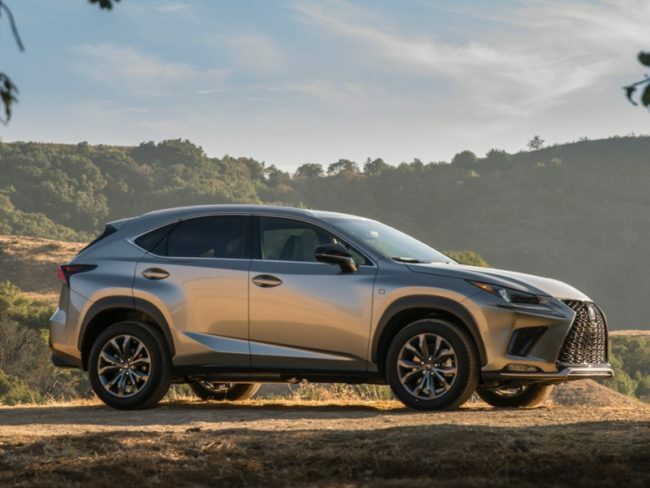 The NX from Lexus is competitive in this segment and despite its somewhat polarizing styling one cannot deny the sales numbers, especially when it surpasses a model like the ES luxury sedan. In the few short years it has been on the market, the NX has made a name for itself, even if that name changes.